An energy firm has angered Glencoe residents with its plans to build a hydroelectric power plant next to the site of a 17th century Highland massacre. 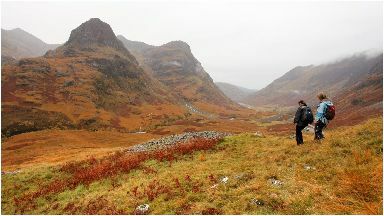 Glen Hydro submitted plans for a river hydro scheme on land near the site of the Glencoe massacre in Ballachulish. Plans have been submitted to Highlands Council for the build near the battle site which will include a turbine house, buried pipelines, outfall, and access tracks. The proposed turbine location is less than 200 yards from the ruins of Inveriggin House, the site of the massacre of Glencoe - an event described by historians as one of the darkest episodes in Scottish history. On February 13 1692, 38 members of the MacDonald clan of Glencoe were murdered by Government troops led by Robert Campbell of Glenlyon. 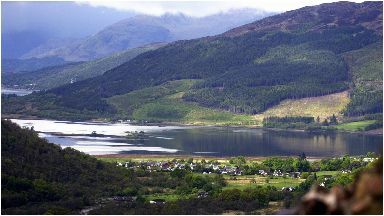 The murders were carried out across the glen at MacDonald settlements after the clan chief failed to meet a deadline to state his allegiance to the King. It came after a proclamation was issued in August 1691 which required the chiefs of the Scottish clans to take an oath of allegiance to William III before the end of the year. Alasdair MacDonald of Glencoe, known as Maclain, missed the deadline by a few days, providing the authorities with an opportunity to crush his clan. This opportunity was noticed by Scotland's Secretary of State, John Dalrymple. 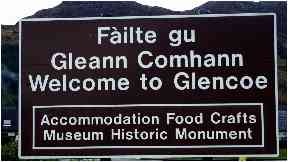 He had a particular dislike for the MacDonalds of Glencoe and Maclain's failure to sign the oath on time gave him the perfect pretext for action. The Secretary of State's orders were explicit: the MacDonalds were to be slaughtered - 'cut off root and branch'. In preparation for the killings, Robert Campbell of Glenlyon's soliders then arrived at Glencoe 12 days before the massacre. They claim they were friends who were seeking shelter due to the fact that their fort was full. The MacDonalds honoured the Highland hospitality code and gave the soldiers quarter in their own houses. They lived together with neither the clan nor the common Argyll soldiers knowing what would happen next. On the night of February 12, a blizzard howled through Glencoe, giving whiteout conditions. During that night, the troops led by Robert Campbell set about systematically killing everyone they could after receiving the signed orders. Thirty-eight men lay dead the next morning, including the chief, MacIain. Iain Thornber, deputy Lord Lieutenant of Inverness-shire said: "For a glen known across the world for the infamous and high profile historic massacre - part of which occurred within the boundary of the proposed development area, I find it both astonishing and appalling that the applicant [and] the developer imagined this to be unnecessary. "For this reason alone the application should be rejected or referred to the Scottish Government and determined by way of a public inquiry." Mr Thornber added that the proposals would cause a significant disturbance to wildlife including rare wildcats. In an objection to the council, resident Peter Weir said: "The proposed Hydro scheme does not respect the historic area of Glencoe including the site of the Inveriggin ruin where many people were murdered in the massacre. "The proposed scheme will also affect tourism because tourism depends on the beauty of the natural environment and will greatly alter the environment and the economy." 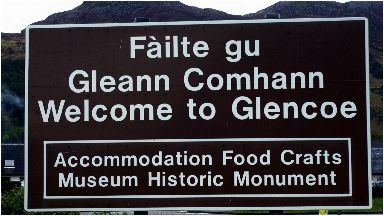 Mr and Mrs Lumsden who live near the site added: "Glencoe is noted globally for its historic past and outstanding natural beauty. "The area receives thousands of tourists every year who come to enjoy the scenery and wildlife and not a hydro. "The noise and pollution from the proposed hydro will affect our quality of life and will be detrimental to our health." Scottish National Heritage said it had no objections with the application and stressed that it would not have an adverse impact on the site. The National Trust for Scotland said it was "scrutinising" the application. Residents also claim that they only found out about the plans this week and vented their anger at the firm during a community meeting on Wednesday with Glen Hydro. In response, Nick Forrest, senior project developer for Vento Ludens Ltd, which owns Glen Hydro, said: "The location of the ruin at Inveriggan was a significant consideration in selecting the turbine house site, 150m away on the opposite side of the Inveriggan Burn. "A house stood very close to the turbine house site until the mid-1970s, and the turbine house will be slightly further from the public footpath. "The turbine house will not change the current setting of the Inveriggan ruin. "While our hydro sites are designed as sensitively as the site allows, and the construction area is restored as closely as possible to its original state, it is understandable that some individuals will have concerns about the overall impacts." Mr Forrest added that there was no intention to keep information from residents about the scheme.